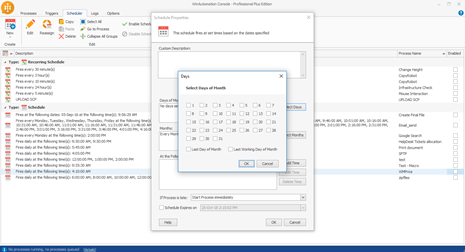 WinAutomation features an advanced Task Scheduler with capabilities to schedule your Processes based on day, week, month, year or any other time variant. Set it and forget it… The built-in Task Scheduler allows you to execute any of your tasks automatically, based on your chosen time-frame. Set up your tasks to run exactly when you need them by selecting from the different options in the schedule menu. You can make selections for specific days and times, as well as base your schedule off of a daily, weekly, monthly or even arbitrary routine. With Task Scheduler, you can schedule any Process, program, or document to run at a time that is most convenient for you. Be it monthly, weekly, daily or anything in between for that matter, that will be useful for your implementation. You also have the option to execute Processes on the last day of the month or on the last working day of the month, which is a common practice in most Enterprises. 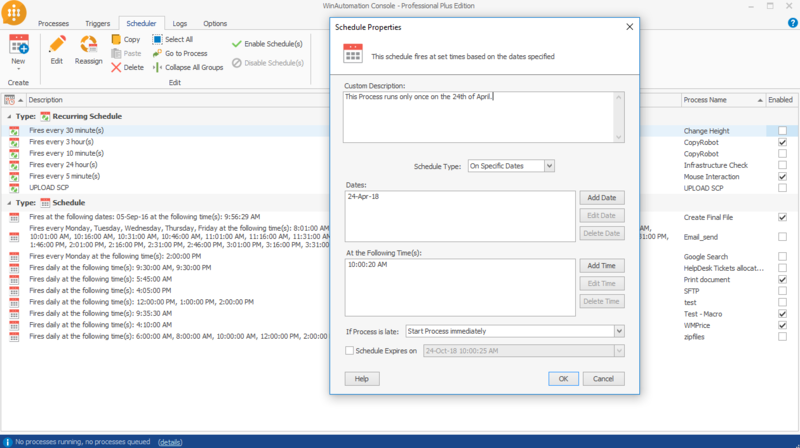 Give the scheduler – not to mention your computer – a rest and suspend scheduled tasks while you are away. Or, create schedules which will have a solid expiration date and time. 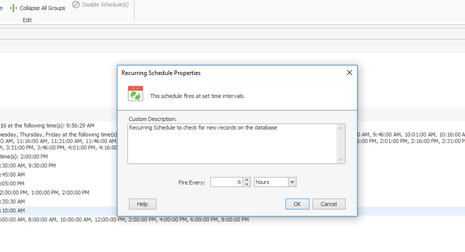 Give the scheduler – not to mention your computer – a rest and suspend scheduled tasks while you are away. 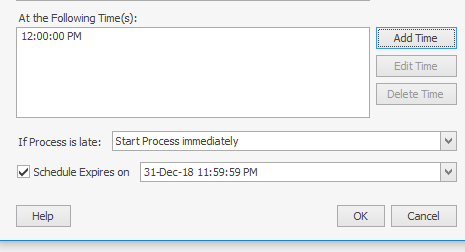 Or, just create any schedule which have a solid expiration date and time. Set the amount of time in seconds, minutes, hours that any process automation will be initiated and this will recur to that set time amount. Easy!